Some now suspect prosecutors of acting politically, while others see their actions as further proof of the new independence of the judicial system. 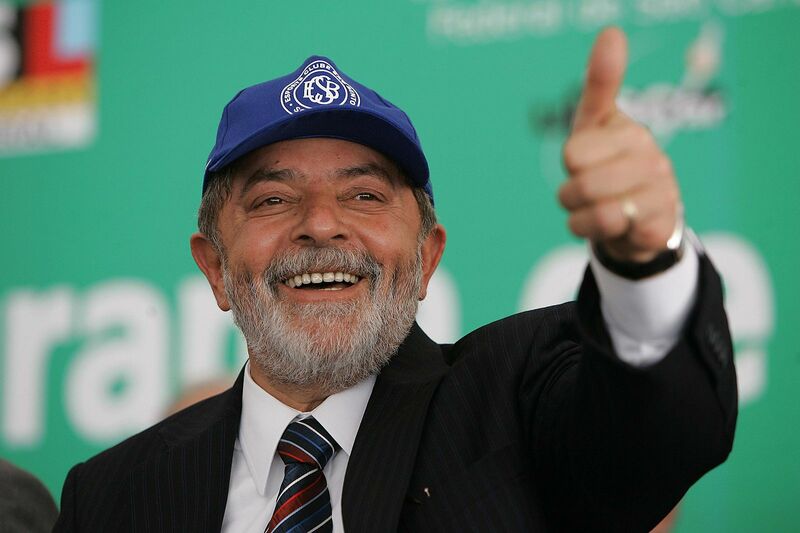 The country appears divided – as in the case of former President Luiz Inácio Lula da Silva. One can well understand the phenomenon of systemic political corruption in Brazil and how difficult it is to do something about it, by looking at the case of former President Lula. Lula and his party are currently expecting a full transfer of the ex-President’s votes to his puppet Fernando Haddad. The former president, who has been sentenced to 12 years behind bars on two counts of corruption and is currently serving his term in prison, may not run as a candidate due to a decision by the electoral court on grounds of his conviction. The PT’s campaign strategy now includes portraying the former president as a victim of the judicial system. Though Lula has been convicted by courts of both the first and second instance, he and a large number of his political supporters and party members protested his innocence. Whereas German politicians have already been forced to assume political responsibility for small offenses – just to think of the 720 euro fee of the former President Christian Wulff, who was cleared by the State Court of Hannover – the same does not seem to apply in and to Brazil. Even serious offenses can apparently be treated as peccadillo. This clearly shows the culture of political corruption and its normalization in Brazil. 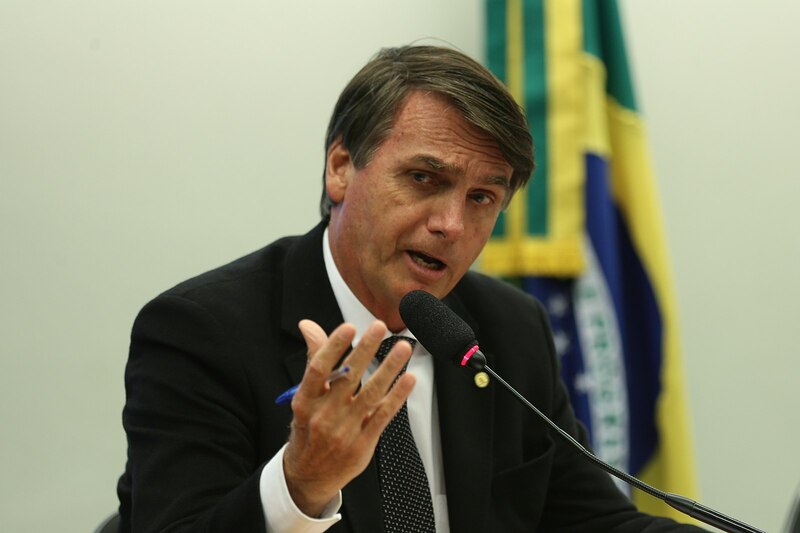 Thiago de Aragão, a political analyst, commented on The Guardian that „Any politician who’s not a newcomer has received money from these sources“, saying the recent incidents are but an element of this culture. In the case of Lula, both court rulings and charges unfolding against him clearly demonstrate his involvement in the pattern of political corruption common in Brazil. The same corruption and bribery scheme was judicially confirmed to have taken place within the state-owned Petrobras and in other state-owned enterprises, such as the State Bank Caixa Economica Federal (criminal case 5023121-47.2015.4.04.7000), the energy company Eletrobras (criminal case 05010926-86.2015.4.02.5101) and the nuclear power plant Angra 3 (criminal case in the 7th Federal Criminal Court of Rio de Janeiro). Joao Pedro Gebran Neto, federal judge at the responsible appellate court (court of the second instance), herein explains: The court rulings were able to directly and indirectly prove the involvement of the former president. The former president received a duplex apartment on Guarujá beach from the company OAS, which was documented as the equivalent of the fixed amount of bribes. The OAS Group, which has already been convicted of cartelization, corruption and money laundering in the case of Petrobrás contracts scandal, co-managed an illegal bank account with Joao Vaccari, head of the PT party, from which a fixed percentage was paid out as bribes to his party. Just two refurbishment contracts for the refinery RNEST and REPAR resulted in bribes totaling around 30 million euro. This represented 3% of the contract value. Of these, 1% was to be transferred to the PT account and out of this 1% the former president was allocated slightly over one million euro – in the form of a duplex apartment in São Paulo. The apartment was reserved by his wife and ran in the name of the construction company OAS. Several documents, as well as the statements and transcripts from the surveillance of the president of the OAS Group confirm this. That this can still be considered a minor offense – according to the motto: Others have collected much more – together with the strategy of portraying Lula as a martyr, clearly reflects the process of normalization of political corruption in Brazil. 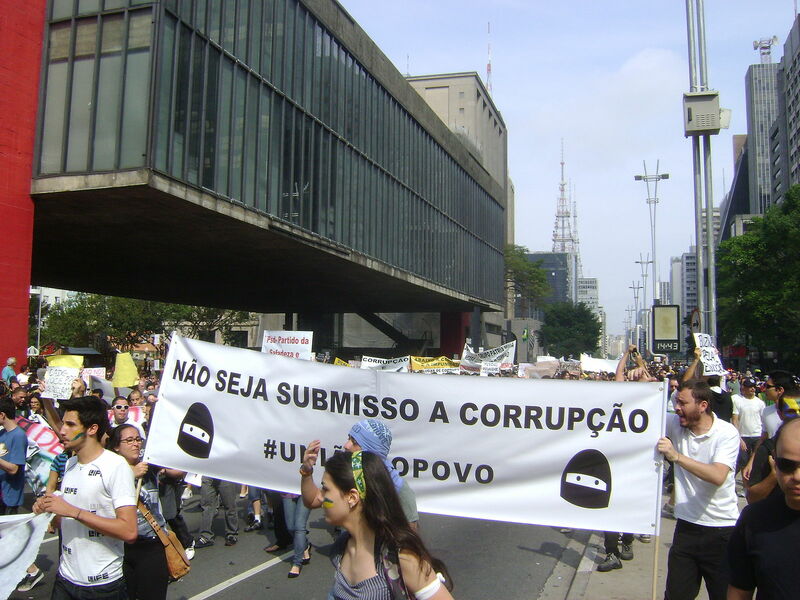 It‘s also part of the political culture of corruption in Brazil, as we have already written, that the concept of political responsibility is completely absent. Even former President Lula does not accept it for the corruption in the PT party, or for its politicians and members who have already been convicted of corruption in many criminal cases. Important political figures in the immediate vicinity of Lula, such as José Dirceu de Oliveira e Silva, a former federal deputy and former „Ministro Chefe da Casa Civil“, are in custody for corruption. Joao Vaccari, former head of the Labor Party, is being investigated in five criminal cases for illegal party financing and money laundering. However, Lula did not know anything. He and his fellow inmates and their supporters see themselves as victims of a political conspiracy, carried out with the support of conservative elements of the judicial system. 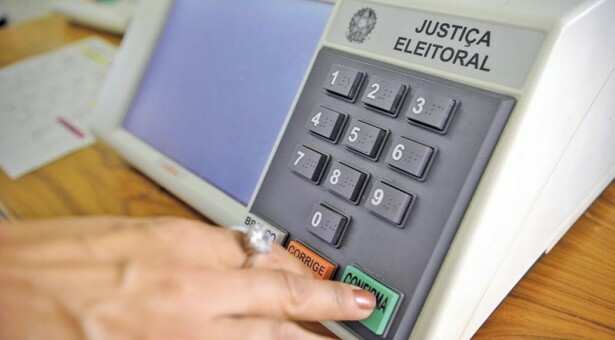 However, the denial of his candidacy on the basis of a law, the „Lei Complementar N. 135 / 04.06.2014“, was decided by an electoral court, in which completely different judges sat than those of the first and second instance in the criminal proceedings against Lula. The fact that Lula can carry on his political game by pulling the strings from behind the curtain to control men and women that are his political puppets has not only to do with the normalization of political corruption, but also with the inexperience of most citizens with a more independent judiciary. The judiciary now no longer aborts some of the proceedings in the statute of limitations, but implements new law with new sharpness. Brazil is still a long way from the social institutionalization of this new judiciary. Let’s hope that the dictatorship-advocating, homosexual-discriminating, right-wing candidate Jair Bolsonaro will not end up as the third party who benefitted from the tussle. In the first opinion poll after the invalidation of the candidacy of Lula, Bolsonaro leads with 22% of the votes. In the impeachment trial against PT President Dilma Rousseff on 31 August 2016, he dedicated his vote for the impeachment of the President to Colonel Carlos Brilhante Ustra, who was responsible for the torture of numerous political prisoners during the military dictatorship, including former President Dilma Rousseff who was a resistance activist. With such a victory, the strengthening of the independent judiciary in the fight against political corruption would probably soon be undermined. Whether this will be different in the case of a victory by the other candidates, must be revealed by time after the election. Datafolha (2018), Eleicoes 2018 Presidente (accessed on: 25.09.2018). Presidência da República, Casa Civil, Subchefia para Assuntos Jurídicos (2010), Lei Complementar Nº 135, De 4 de Junho de 2010 (accessed on: 25.09.2018). Strafprozess in der 7ª Federal Criminal Court von Rio de Janeiro The Guardian (2018), Brazil presidential election: candidates on both sides charged with corruption (accessed on: 25.09.2018). We must compare the cases of Brazil and India. There are so many similarities! Lula reminds me of Laloo – once a great socialist student leader – who became the popular Chief Minister of Bihar (a major North Indian State), and is now languishing in jail for ‚fodder scam‘. A large percentage of Indian legislators have criminal cases against them. How do we reconcile popularity, rationality and corruption?